Contests on Instagram have many benefits, and when you read about growing your Instagram account, it seems like almost every single article about the subject mentions giveaways/contests (whatever you want to call them). That’s because they’re so incredibly effective. 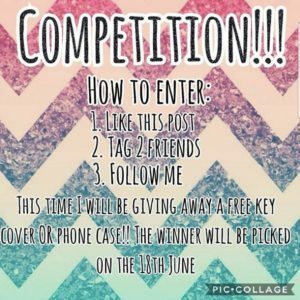 In this article, we’ll teach you How To Arrange a Successful Contest on Instagram and all the steps included. From setting up your campaign to announcing the winners. 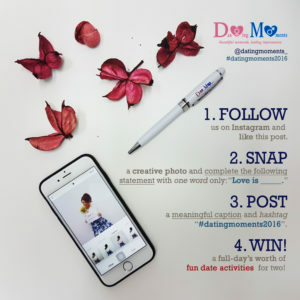 When arranging a contest on Instagram, you need to decide the rules of entry. Basically what people need to do to enter the contest. There are several ways you can set up your content. Some are more powerful but generate fewer contestants. Some generate a ton of contestants but not a lot of impact. This is the easiest way of entering a contest, and also the easiest to host. All you have to do is ask people to like the photo and then they’re in the game. The main benefit of this type of contest is that it is so easy to join that almost everyone who sees the contest will like the post. Arranging like contests can also have another huge benefit. That benefit is to end up on the Discover page on Instagram. On the Discover page, recommended posts are displayed via an algorithm based on what users have liked etc. Ending up on the Discover page can help drive further engagement to your contest, and the more people who join, the bigger chance you’ll have of ending up there. Very similar to liking but because commenting is a bit more demanding, some people might choose not to do it. However, when people see that the only demand for entering the contest is to leave a comment, a lot of them will do it. When running a contest based on comments, you can add further rules than to just leave a comment. Because in theory, people could just make a comment with a dot and be in the race of winning the contest. If you’d like to gain some value from the comments, you could ask people to give feedback about your brand, let them motivate why they should win etc. This is one of the most common contest ways. A like or a comment doesn’t do a lot for you, except increase your engagement and possibly help you end up on the Discover page. Tagging people to enter the contest, however, plays a different ball game. When you ask people to tag their friends, some might be intimidated and not join it, but if the prize is appealing, most people will. When you ask people to tag their friends, you’ll instantly gain tons of traction and the amount of people who are joining your contest will increase rapidly. It’s simple math. Let’s say your rules of entry are to tag three friends. When one person sees your contest, they will tag three friends. 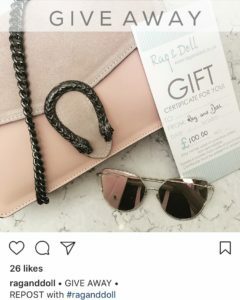 When those three friends get mentioned, they’ll check out the post they were tagged in and if they find it appealing and also want to win, they will tag three friends each. When those people see that they were mentioned in a post, they might join as well. In just three steps, you’ll go from one entry to another 3 and after that, another 9. As you can see, the result of one person entering the contest and tagging their friends can be tremendous. And the best part is that you don’t have to do the work of marketing your contest. This is almost as simple as liking because it only demands one button tap, however, some people are very careful with who they follow and might not want to follow you if you don’t post interesting content. Therefore, it’s recommended that you always share appealing visual content because that will increase the amount of followers you get. Secondly, you have to be prepared to get unfollows when the contest ends. When people see you have announced the winner, and it wasn’t them, they might not see a point in following you anymore. However, don’t worry because most people who followed you will continue to do so. It is common that people have several criteria for entering their contest. While this demands more effort from the people joining it and might scare people away, those who enter the contest are the ones who are really excited to win. In other words, targeted followers. This is the least effective criteria for entering your contest if you want to get a lot of contestants. Don’t get me wrong, you can still get a ton of people doing it and therefore joining your contest, however, a lot of people will get intimidated by the fact that they have to share a post from you and post it in front of all their friends. In addition, reposting a photo demands some effort, and if you have a prize that isn’t as appealing, people might think that it isn’t worth the trouble. This way of setting up a contest has a huge benefit though. Instead of people tagging a few friends in your post, they’ll make a post on Instagram which all of their friends can see. Not just a few of them. This means a ton of exposure for your brand and most likely new contestants. Just make sure that the people who enter have an open profile (not private) otherwise you won’t be able to see their post. Basically, if they have a private account, they’ll never have the chance of winning because you will never see their post. You also want to make it possible to find the posts that people are posting. If they are just sharing a post, you won’t be able to see them, because where should you look? Make them use a hashtag when posting the photo, or tagging you in the photo so you’ll be able to quickly identify those who have done the criteria to join and can note their entry. It’s important that you make the rules very clear when making your Instagram contest. The best is to add text to the picture you post because that will catch people’s attention and increase the chances of them joining. Write your rules in a step-by-step format to make it easily understandable and digestible. It is common that larger brands have a whole text with the rules of the contest so they can avoid any legal problems. However, adding pages and pages of your text in your Instagram caption is something that not a lot of people want to do, so it’s not completely uncommon to see that they are making a page on their website including the rules of the contest to make their captions sleeker. If you would like, you could also make the contest entering solely on your website and only promote the contest through Instagram. For example, write “Join the contest by clicking the link in our bio”. This also lets you get access to their email addresses which is great for getting a hold of them after the contest has ended. Here’s an example of an Instagram giveaway with clear instructions to how you join the contest. By writing the steps on the image, people will quickly be able to understand what they need to do. Obviously, the prize will have a lot to do with the success of your contest. The better prize you have, the more people will be interested in going out of their way for a chance to win it. For example, if you would win a car, most people would be willing to do all of the steps above combines just for a chance of winning it. However, giving away something that appeals to just your target audience might generate better results. Targeted followers are better than just followers, and that’s what the prize does. For example, if you’re giving away makeup, most likely, you’ll have mostly women joining. And that’s because they are your target audience (if you’re selling beauty products). While sitting back and waiting for people to spread the word can make you get more contestants, working actively yourself is great for drawing more people to your contest. For example, sending out the news about your contest to your newsletter subscribers might help you gain a few new contestants. You can also search for keyword-specific hashtags and then comment on people’s posts letting them know about your giveaway. When launching the contest, you also want to add a few relevant hashtags to increase the exposure of your contest. When you have the criteria of reposting your photo to join, you want to use a hashtag that isn’t crowded so you can easily track the entries. Using your brand name is a good idea as it also helps increase brand awareness, but you could of course also create a new hashtag, for example #yourbrandnamecontest. When setting up your contest, you want to have an appealing prize that makes a lot of people wanting to your contest. You also want to make the rules of entry clear and when the contest ends. Have you arranged an Instagram contest? We’d love to hear about what tricks you used to make it successful!